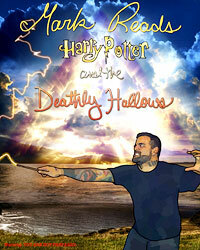 Mark Reads Harry Potter & The Deathly Hallows IS NOW AVAILABLE! After a year and a half worth of writing and editing, the day has arrived: I have finally finished revisiting the Harry Potter series. The final book is here, and you can also buy all seven books at once now! I am so excited, y’all. This is a REALLY big day in my life, and I hope you’ll share in my joy! SO LET’S DO THIS. 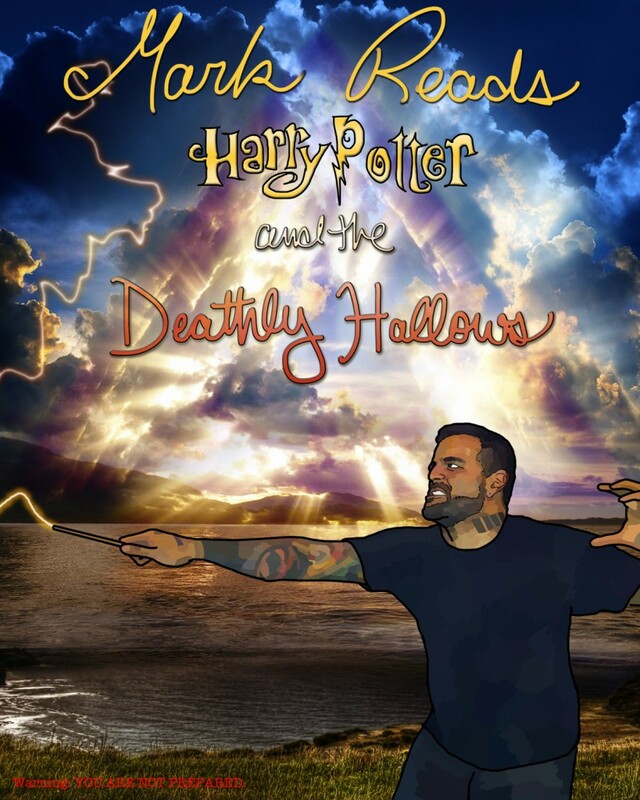 With a full-color cover designed by Jamie Herman, 52 chapters, including 15 brand new reviews, 74 footnotes, 191 pages long… it’s the final book in the Mark Reads Harry Potter series. 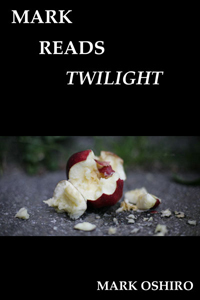 It’s available in Kindle, PDF, and ePub for just $4.99. With a full-color cover designed by Hannah Ambruso, this whopping, 344-page book is available in print for just $15.00. I suggest purchasing this if you’d like something signed on tour! You can find all my print books here, too. 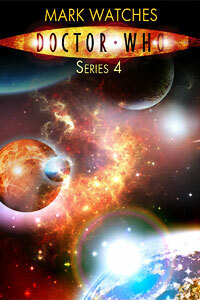 You can now buy all seven books in all three formats for just $25. That’s right, the ENTIRE SERIES is discounted if you buy it all at once. And you did read that right: You get all three file formats, too. THANK YOU FOR SUPPORTING ME! I’m very, very proud of this work, and y’all should thank the editors if you ever see them commenting. None of these books would exist without them! And if you’ve somehow missed all the announcements, I am going on tour TOMORROW to promote this book. IT’S REAL. IT’S HAPPENING. Come out and have fun! oh god I FINISHED HARRY POTTER AGAIN. This entry was posted in Harry Potter, Mark Does Stuff and tagged books, mark reads harry potter. Bookmark the permalink. 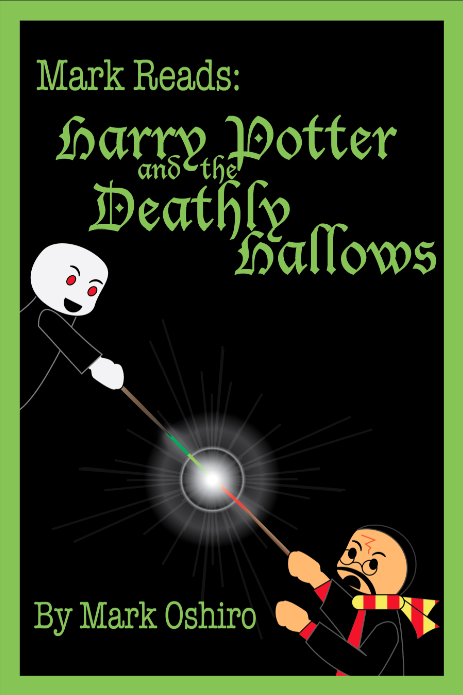 96 Responses to Mark Reads Harry Potter & The Deathly Hallows IS NOW AVAILABLE!